Not only did Peg show a skill in playing breeches roles, which she was given quite frequently, but she took to playing aristocrats well. 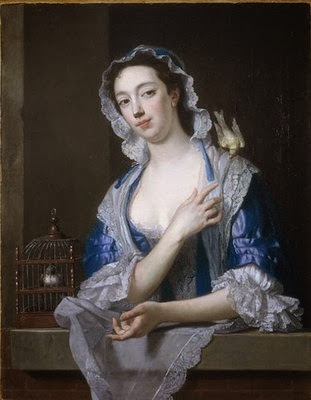 An interesting fact considering her voice was described as “harsh.” Peg quickly gained the reputation of being a leading comic actress and began having friends in high places such as the Gunning Sisters and one of the most famous actors in history, David Garrick. In fact, a love bloomed between the two thespians and they lived together (in sin!) for a while. The couple had planned to wed but Peg ended up dumping him. She went on to have numerous public affairs with men in high places such as the Earl of Darnley and MP Charles Hanbury Williams but managed not to have any children. A smart tart, I say! Actually she was known for being a kind, genuine person, however tart-like. In fact, she was so well-liked she was even the president of Thomas Sheridan’s Beefsteak Club in Dublin. Normally clubs were a place for men to gamble and and be debaucherous so women were not allowed. Peg was actually the only woman member in the Beefsteak Club as well as President.